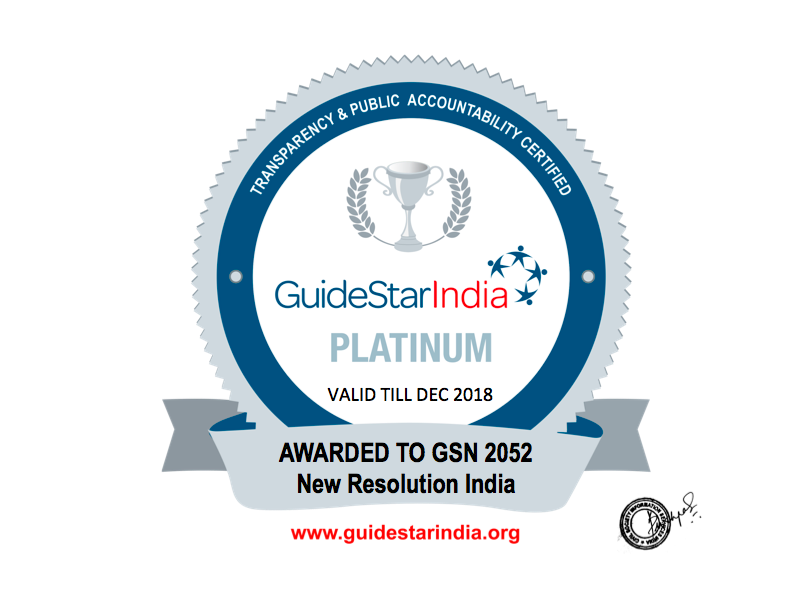 Kishor began New Resolution India’s journey in the year 2008. Since then he has designed the program as well as led the team to ensure NRI moves towards its vision. Read More about Kishor’s Journey. Dinesh has more than 9 years of experience in the field of Life Sciences and has also worked with Government Departments. 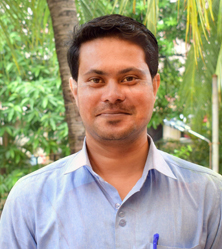 Dinesh started working with Bright Future since August 2015 in the capacity of Cluster Coordinator and based on his performance and abilities was promoted to Operations Manager’s position in April 2017. Dinesh looks after all the programs of Bright Future and is an excellent leader having an experience in managing staff of different disciplines to produce results in a timely manner. He also helps in developing strategies and tactics for Bright Future to reach out to the youth we work with, more effectively and efficiently. Prior to joining Bright Future, he started his career in Pune as a Business Development Executive for BI Biotech India Pvt. Ltd. And then moved to Imperial Life Sciences Pvt. 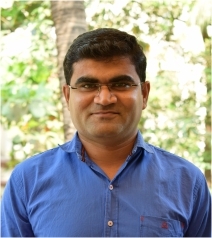 Ltd. Dinesh moved to Mumbai for working with Synergy Engineering and Environmental Solutions in Thane where he networked very closely with Government Department of Water and Sanitation while travelling across Maharashtra. Dinesh was exploring a job opportunity which is when he came in contact with Bright Future through a friend and decided to explore an opportunity in the Development Sector. 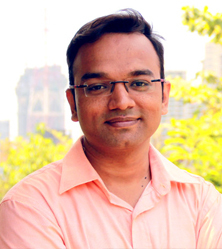 Dinesh has a B.E in Bio-Technology Engineering and has completed MBA in Marketing from University of Pune. Nitika has joined Bright Future in September and has an experience of 3 years. In the first two years of her career, she worked as a data analyst with an IT company in Gurgaon. After this, she took the decision to utilize her skills to serve a different segment of society which is why she joined the India Fellow Social Leadership Program. 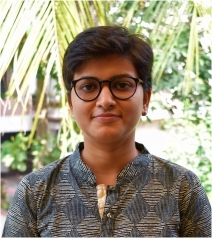 During this one year period, she worked with Yuva Parivartan and helped them improve their communication strategies and was also given the ‘Special Recognition Award’ for her work. She is originally from Delhi and has completed her Bachelors in Business Economics after which she pursued PG Diploma in Marketing, both from the University of Delhi. Outside of Bright Future, she loves to dance and play badminton. Priyesh joined Bright Future from Oct’17 and has 8 years of experience with special interest in Financial Management, Taxation, Audit, and Compliance, Cost Accounting and Banking. Prior to joining Bright Future, he worked as Deputy Manager with HDFC where he had Cash Management, Operational Activities, Customer Service, Lobby Management and FX & Suspicious Transactions Reporting under his purview. He has also worked with Sandhu Pharmaceuticals Pvt. Ltd. handling the Costing, Auditing, MIS Reporting and Quality Management. 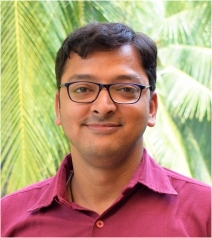 Priyesh has an M.Com Degree from the University of Mumbai and has a Diploma in Co-operative and Accountancy along with the certification of CMA Inter from ICMAI. Ravindra joined Bright Future from January 2018 and has an experience of 9 years. He started his career in Sales and Marketing in Pharma Industry where he spent almost 6 years. He then worked in Business Development and Marketing in Pharma Engineering Industry for 3 years. He was working as a Brand Manager and has an experience of launching new products and training medical representatives. Ravindra is passionate about public speaking and is an avid marathon runner. He has completed various courses in Public speaking and Communication skills from various organizations like Toastmasters International, Indo-American Society, Symbiosis-English Language Teaching Institute etc. Ravindra holds B. Pharm. degree and MBA (Marketing) from Department of Management Sciences, Pune University. Ravindra has changed his field twice to find a way to his passion. His mission is to inspire people to follow their passion and pursue that for life. Following this path, he landed with Bright Future. 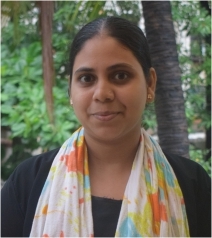 Soumya has started working with Bright Future from March 2018 as part of Learning and Development Team. Prior to Bright Future, she worked with iTalent Learning Centre and was instrumental in conceptualizing and writing content for programs conducted by them across various industries. 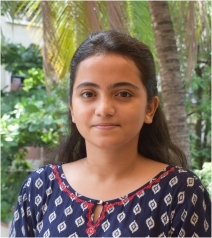 She has worked on a research project titled “Awareness Created by the Project “Responsible Netism” Among Girls (6th std-10thstd) in Mumbai and Thane” as a key researcher. The research was in collaboration with Ahaan Foundation which is supported by Thane and Mumbai Cyber cell. The project received approval and support from Honorable Shri. Vinod Tawade- Minister of School, Higher and Technical Education Maharashtra. 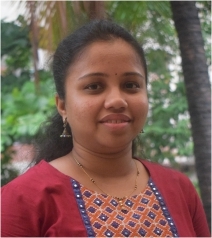 Soumya holds a Master’s Degree in Human Development from University of Mumbai. During her course she worked very closely with children from diverse communities and was drawn to a line of work wherein she could assist individuals to surmount the hardships and challenges that life brings. 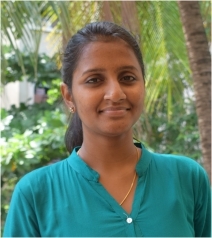 Joshiya joined Bright Future as an Assistant Manager – Mentoring & Volunteering from June 2018. 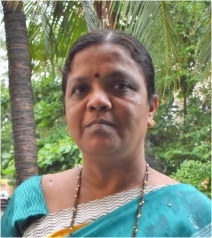 Prior to joining Bright Future, she pursued Masters in Social Work from Nirmala Niketan College Of Social Work. She holds a degree in Commerce from Mumbai University and a Postgraduate Diploma in Banking from Institute Of Finance, Banking, and Insurance. During her probationary period at Citi Bank, She realized that she didn’t want to make a career in Banking. Rather, wanted to do something she loved. So, she opted to quit and began teaching English to children of the rag-picking community at Gyansaathi, Govandi as a volunteer and later, worked there as a full-time employee for a year where reporting, documentation, teaching, was under her purview. She feels happy and satisfied after switching to the social sector. Outside of Bright Future, she actively participates in Voluntary work, Church activities. She loves exploring country-side in leisure time. 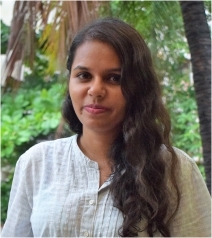 Bhavana did Bachelors of Management Studies (BMS) with a specialization in Finance from D.G Ruparel College, Mumbai. Immediately after completing her graduation, she joined Bright Future in July 2016 as a Facilitator to gain some exposure of working with an NGO. Initially, the thought of being a fresher with no prior knowledge of the social sector made this job even more challenging for her. After working for a couple of months with the youth in different communities and realizing the kind of difference that she can make, she got motivated to continue this job, longer than she had earlier decided. Recognizing her dedication towards the people she works for, she was promoted as a Center In-Charge in Jun’17 and then as a Cluster Coordinator in Apr’18. Bhavana strongly believes that working towards developing youth’s ability of decision making and life skills will make them independent and help them improve their lives.